What she meant was that I had crossed over to the St. Olaf side of town for the event. Northfield, Minn., has two liberal arts colleges, Carleton and St. Olaf. Carleton is on the east side; St. Olaf is on the west. Even though the two institutions are only a 20-minute walk from one another, it is not too often that students from each school interact. I could not help but see a parallel between Carleton and St. Olaf and the difference between my beliefs and those of Justice in Palestine. In other words, I could see where they are coming from but it still feels like crossing over to an uncomfortable side. I am a member of J Street. The conditions in which Palestinians have lived are unacceptable. 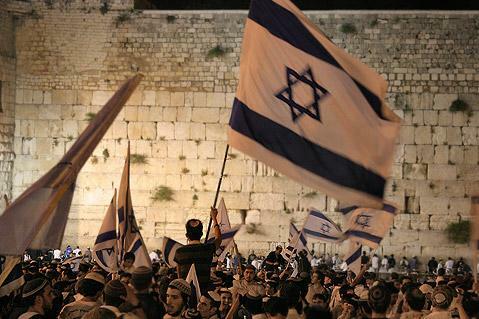 I even believe that Jerusalem should be divided, as long as Jews have access to the Western Wall. However, when I first found out about Northfielders for Justice in Palestine/Israel, I was hesitant to sign up for the group’s email list. Even though they also advocate a two-state solution, I assume that groups like these are tinged with anti-Semitism, anti-Zionism, or just misinformation. Thinking I was possibly being too biased against them, I decided to go to their Palestine Gala Dinner to gain a better understanding. 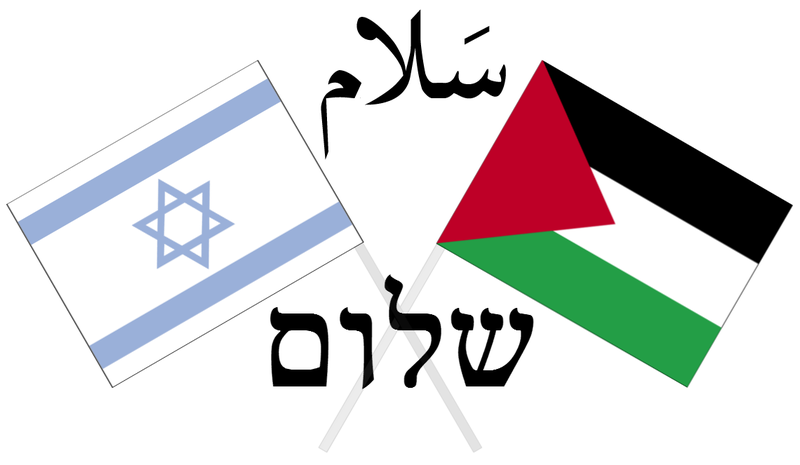 When I entered the church lobby for the event, I encountered a barrage of posters and pamphlets that were mostly biased in favor of the Palestinians. One poster was calling to “break the bonds” and have the U.S. divest from Israel. One brochure read, “Israel is actually involved in an unremitting and merciless vendetta against the subjugated Palestinian people in order to expel them and acquire their land.” The same brochure did make it clear that not all Israelis felt this way and that people should seek out left-wing Israeli opinions. Overall, the display in the lobbying felt off-putting. Inside, it was much warmer. The sold-out function had brought in much of the Northfield community, though most of the attendees were gray-haired. Carleton’s Arabic professor and his friends provided Oud music. St. Olaf students dressed in full traditional garb performed dabke dances. Before everyone could eat the delicious spinach pie and mujaddara, Christian, Jewish and Muslim blessings were said. The affair raised money for Bright Stars of Bethlehem, a Christian charity dedicated to helping all Palestinians in the West Bank. Many of the people there had prior awareness of the complexities of the situation in the Holy Land. At my table, a Lutheran pastor who had led an English-speaking congregation in the Old City of Jerusalem sat next to me. Two young women who had spent a year doing missionary work in Bethlehem sat across from me. 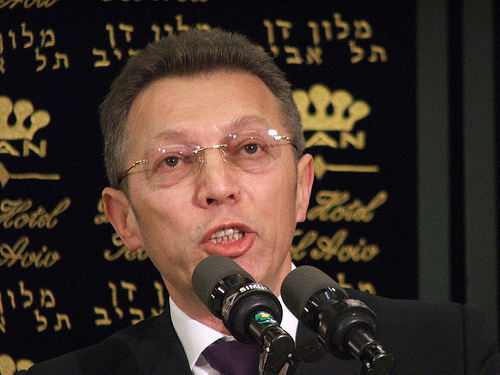 The pastor was distressed with Netanyahu but did not place sole blame on any government. He recalled how there was so much optimism for peace when he was in Jerusalem during the 2008 U.S. election. Three years later, he feels that hope has been totally crushed. Feeling the communal spirit and compassion of the people around me, I gained more respect for the group doing what it could to help the oppressed Palestinians. But the main speaker of the evening, Jennifer Loewenstein, Associate Director of Middle East Studies at the University of Wisconsin, Madison, made the event take a negative turn. I supported her fight for human rights but felt she was unfairly harsh and incorrect in characterizing the Israeli government’s policies. Loewenstein described the situation as a “brutal, sadistic occupation” where Israelis are starving Palestinians, applying a divide and conquer strategy that isolates West Bank towns. She called Israel’s actions genocidal. With walls around Palestinian areas in the West Bank and Gaza and Israel limiting what food can be shipped into Gaza, conditions may be terrible but not genocidal when the Palestinian Arab population is growing at a faster rate than that of Israeli Jews. Loewenstein also presented a skewed view of Israeli history with less than accurate statements that emphasized Jews taking Palestinian land without mentioning any reasons for why a Jewish state was necessary such as rising anti-Semitism. She stated that the Arab population rejected the 1947 U.N. Partition Plan not only because they felt Jews were taking land that belonged to them but also because they got the worse half of Palestine, describing their portion of the partition as unfertile desert. Actually, the plan gave Palestinians most of the more fertile Northern Israel. Most of the Jews’ portion of the land was in the Negev Desert. Loewenstein cast blame on Israel’s extremely irrational fear of being driven into the sea even though the Israeli mainland had never been attacked by a foreign enemy until 2006, and its armed forces have always been superior to those of the Arab states combined. But she appeared to forget that Israel’s neighbors invaded the land on its first day of existence, and that Israel frequently faced the threat of attack ever since, and was not always as sure of its military might as it is today. Although Israel has made preemptive strikes in some of its fighting, it was because the threat of an attack was imminent. “When looking at the conflict, it is two countries saying how much they want peace. But those two countries, the U.S. and Israel, are doing anything in their power to stop it from happening,” said Loewenstein, citing a “military-industrial based economy” in which the U.S’s of high-tech weapons to Israel is extremely beneficial to both countries. From talking to a few people, it appeared the crowd primarily did not have as extreme views as she does. However, when asking the two young women at my table about whether Loewenstein’s denunciation of Israel was a little too harsh, she said that she was just “preaching to the choir.” At least some of the room supported divestment from Israel, a diplomatic tactic that I feel breaks apart the needed U.S.-Israel dialogue on how to attain peace. I left feeling a little better about Justice in Palestine groups but remained worried that Loewenstein’s lecture could cause some of the crowd who did not know as much about the situation to leave misinformed. But crossing over to the other side of your beliefs or your town often brings something new. What’s got Rubin, one of the loudest right-wing voices on Israel in the United States, with her perch at The Washington Post’s blog “Right Turn,” so upset? The American Jewish Committee’s refusal to join eleven other Jewish organizations in an amicus brief to the U.S. Supreme Court in the case of M.B.Z. v. Clinton. M.B.Z. v. Clinton is the case that the Supreme Court will hear this fall brought by Naomi and Ari Zivotofsky, American citizens who wants their young son’s U.S. passport to list his place of birth as “Jerusalem, Israel,” instead of simply “Jerusalem.” This doesn’t merely refer to East Jerusalem, annexed by Israel but considered by the U.S. government to be “occupied territory.” This is West Jerusalem, Israeli territory since the 1948 War of Independence. Not surprising, virtually every Jewish pro-Israel group signed an amicus brief (the Anti-Defamation League, the Zionist Organization of America, and the American Association of Jewish Lawyers and Jurists plan to submit “friend of the court” briefs due this week. Other groups including the Union of Orthodox Congregations and the National Council of Young Israel are signing on to at least one of those briefs). In the U.S. Senate more than 25 senators signed onto a brief in support of Menachem Zivotofsky. When you get Sens. Jon Kyl (R-Ariz.), Joe Lieberman (I-Conn.) and Carl Levin (D-Mich.) on the same page, you know this is a no-brainer for friends of Israel. Except, Rubin points out, the American Jewish Committee. The AJC believes that “unilateral declarations,” whether this passport dispute or the Palestinians’ planned September push for independence at the United Nations, are not the path to Middle East peace; instead, the AJC encourages these issues to be part of negotiations between the parties. As such, the AJC is staying out of the case; they’re not siding with the government, but they’re not joining any Jewish organizations’ amicus briefs. 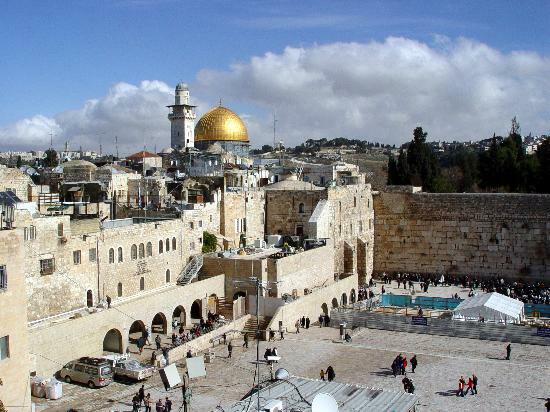 The American Jewish Committee (AJC) wholeheartedly supports the indisputable principle that Jerusalem is the capital of Israel, and has long advocated for international recognition of that fact. The United States Supreme Court, however, is not the proper venue to resolve foreign policy issues, and that is why AJC did not join in the Zivotofsky lawsuit. AJC strongly supports congressional legislation that mandates citing Jerusalem as an Israeli city in U.S. passports. When it comes to the case itself, Rubin and the many Jewish organizations that have filed amicus briefs are right: Americans born in Jerusalem should have the choice to list Israel as their birthplace. The law is pretty clear on that. But the AJC brings up a reasonable point: Do advocates for Israel really want the unelected Supreme Court making these decisions? Even if they decide in favor of Menachem Zivotofsky, the young boy whose passport is in question, what’s to say that in twenty years a new Supreme Court won’t make a decision that could threaten Israel? The AJC is too worried about this potential occurrence – recognition of Jerusalem as the capital of Israel is an important issue for the American Jewish community, however it is achieved – and it’s disappointing that they didn’t join the Anti-Defamation League’s brief on the case. The AJC’s mistake is a tactical one, which they ought to right. Yet is it deserving of Rubin’s anger, and should their decision result in the “damage” Rubin implies the AJC deserves to their reputation? No. But if it’s fair to silence the extremism within when it’s a merely a fringe phenomenon limited to a few radical rabbis, surely it’s wrong not to publicize–and criticize–it when it appears to be widespread and cross-denominational. Here’s a remarkable, repulsive and, sadly, illuminating video from Max Blumenthal, an investigative journalist and blogger, that I just came across at New Voices. Jerusalem voters may have told Arcadi Gaydamak, “You’re fired” last week, as Nir Barkat edged him for the Jerusalem mayoralty. But don’t imagine the oligarch just sitting at home counting his shekels, or making prank phone calls to those méchants prosecutors in France trying him for arms trading. [Gaydamak] will accompany and advise businesses with especially small turnover rates, such as Falafel stands, clothing stores and factories in the periphery, until their profit margin rises significantly. If he boosts those felafel profits high enough, maybe we could import him for a future season devoted to slightly larger businesses. I can think of three in Detroit that could use the help. I inherited 10,000 Shares of Jerusalem Stock, What Should I Do? Nir Barkat, the newly elected mayor of Jerusalem, gave the UJC a tender statement on what could be seen as the very essence of Zionism: “Every Jew in the world is a ‘shareholder’ of Jerusalem,” he said. Besides the serious concept of “global Jewish Israel interventionism,” the idea that simply being Jewish justifies—or necessitates—ideological and other contributions to the Jewish State, Barkat’s quote got me thinking. What if we were actually shareholders in Jerusalem & co. in the same way some sports teams are owned by the fans? What would you do if you were a board member at Jerusalem & co.? We had a preview of Jerusalem’s mayoral election earlier this week. Now we can declare software entrepreneur Nir Barkat the winner. Barkat embodies a bit of a contradiction, doesn’t he? “The great hope of the city’s secular Jewish community,” as BBC describes him, will not consider dividing Jerusalem and plans to build Jewish housing in Arab East Jerusalem. He announced his victory early Wednesday morning. 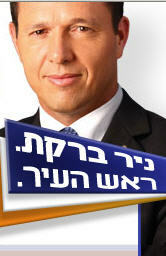 “Tonight Jerusalem has won, tonight Israel has won, tonight the Jewish people have won,” the soon-to-be mayor declared. Barkat called on the city’s residents to unite. “As of this morning I am mayor of all Jerusalemites. 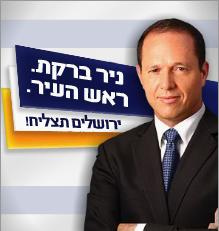 I want to offer praise to Meir Porush and his supporters, and the public they represent,” Barkat said. He concluded his speech with a blow on a shofar (ceremonial ram’s horn) and the singing of the national anthem.